We like this device, but a cheap and simple improvement would make it even better. The SnapPower Charger was one of the bigger crowd-funded product development stories, raising well over $850,000 in early 2015. 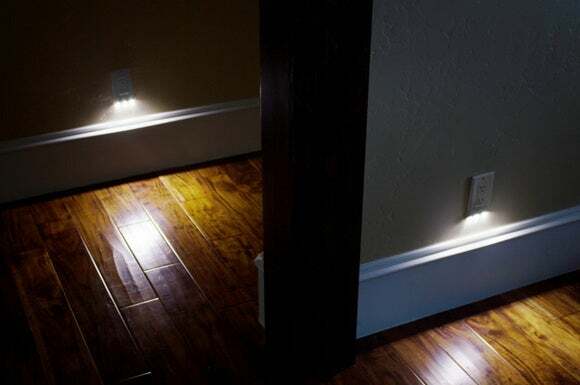 Now the company has adapted its idea—meld a USB charger with an outlet cover—to produce an outlet cover that doubles as a nightlight. It’s called the SnapPower Guidelight, and we dig it. The Guidelight replaces your existing outlet cover, just like the SnapPower Charger ($22 at Amazon, you can read our review here), with one that has two interior arms with metal contact plates. 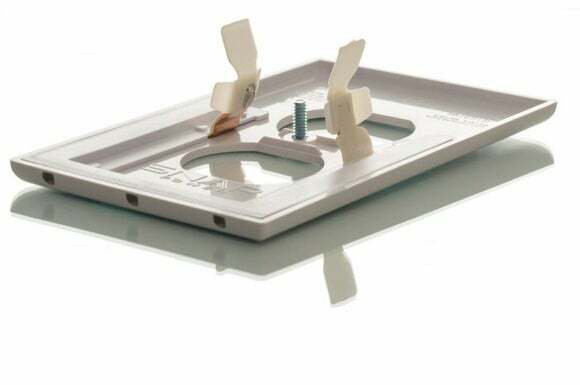 These plates touch the screw terminals on the sides of the outlet and provide power to three LEDs on the bottom of the plate. A light sensor turns the LEDs on when it’s dark. SnapPower’s how-to video makes it look as simple as removing your existing cover plate and attaching the Guidelight, but it’s not that simple in practice. The company also recommends turning off the power to the outlet at your circuit breaker panel before your start, which is good but not absolutely necessary advice. I didn’t follow it. The prongs on the inside of the outlet cover draw electricity from the terminal screws on the outlet. It’s good advice because removing the existing outlet cover will expose you to surfaces carrying live current if you don’t turn off the power; namely, the aforementioned screw terminals and possibly bare wires if the receptacle isn’t wired through its back. Touch the exposed outlet in the wrong place and you will get a nasty shock, one that could kill you as the installation instructions warn. All of the receptacles and switches in my home are of the Decorá style, so their cover plates have one rectangular opening and two mounting screws. SnapPower also offers Duplex-style cover plates, which have two openings and one mounting screw. 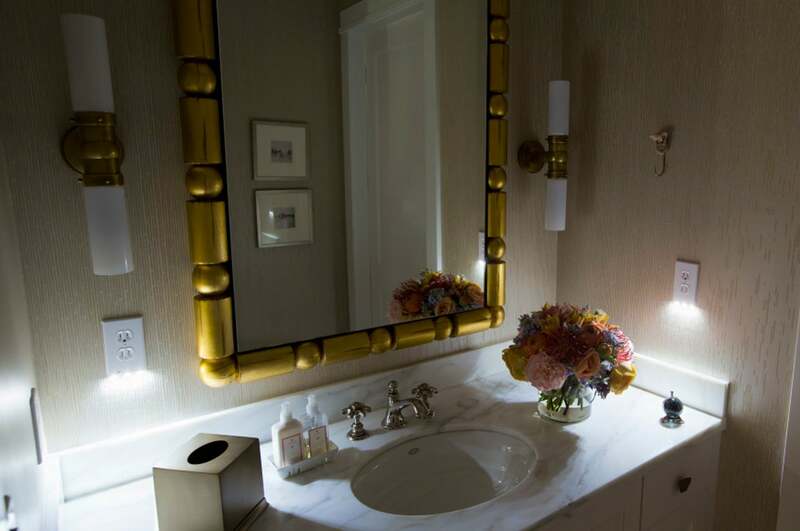 You can choose from three colors to match your receptacle: white, light almond, or ivory. This drawing does a good job of showing how the SnapPower Guidelight works. 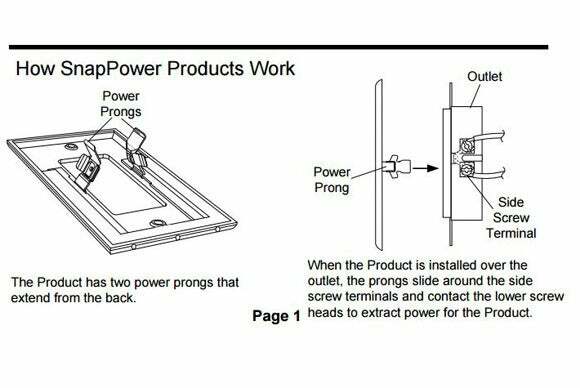 SnapPower’s user manual points out a number of situations that could complicate your installation by getting in the way of the prongs that must come in contact with the screws on the receptacle, including excess wiring in the electrical box, overhanging drywall, screws on the receptacle being extended too far, an outlet out of center inside the box, and so on. My home is of fairly recent construction (2007), and the receptacles are wired in back, so I didn’t encounter any of these issues. I nonetheless still had trouble getting the prongs to slide over the screw terminals on the sides of the receptacle, an exercise unnecessarily rendered more difficult because the SnapPower Guidelight doesn’t have retention washers on the screws used to secure it to receptacle. The screws kept falling out of the plate, which made it hard to line them up with the holes on the receptacle. To its credit, SnapPower’s online user manual offers detailed troubleshooting steps to get around all the complications it mentions, and I was eventually able to mount the Guidelight after some impatient grumbling. It’s a terrific addition to my hallway that my guests in particular appreciate, because it’s right outside the guest bathroom. It throws a pool of light down the wall and on the floor that’s just bright enough without being annoying. SnapPower’s website shows a lot of examples of installations, such as in the kitchen and bathroom, that probably won’t work in the real world if your home is up to code. So why didn’t I put it in the bathroom, you ask? Because neither the Guidelight nor the Charger can be installed on GFCI (ground-fault circuit interrupter) outlets, which the National Electrical Code requires be installed in bathrooms, kitchens, laundry rooms, garages, and other locations where water might be present. Considering the locations where you might want to charge your smartphone or tablet, that’s probably a bigger negative for the Charger than for the Guidelight, but it’s something you’ll want to be aware of. The easiest thing SnapPower could do to improve the Guidelight? Put retaining washers on the mounting screws. While it's not quite as easy to install as its manufacturer claims, the SnapPower Guidelight is a great idea that's been well executed. The SnapPower Charger is a cheap and easy way to add a USB charging port to almost any electrical outlet. It has only a couple of minor shortcomings.